We all know that we need to look after our skin and we all know how expensive it can be at times so we often put off having to buy the things we need to help maintain our supple skin, so every thursday i have decided to have a spa day where i will add as much as possible natural cures for our problems and home made beauty products for things that we would often buy as a luxury. I will also post any offers i find in my job as i work in a famous British Drug store and often we go shopping and we miss the bargains in store. Today i have a recipe for a simple lavender oil, for massaging into your skin. Massage into your skin on your body in a circular motion, untill its soaked in. 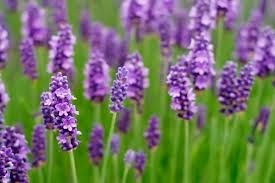 LAVENDER IS ONE OF THE MOST NOSTALGIC FRAGRANCES, bringing scenes of childhood vividly to the mind: high summer days that last for ever, lavender bushes shimmering against the blue sky, the bees blundering in and out among the flowers, stirring up the intense, sweet sensation.But lavender is calming. It is one of the most powerful remedies in the plant world, offering both physical and emotional relief for problems as varied as burns, migraines, insomnia, insect bites, skin problems, infections, stress and nervous tension. It owes this amazing spectrum of healing powers to its complex chemical makeup. 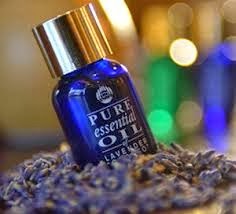 Reasons for using Lavander oil - a remedy for aching muscles, acne, bugs & bacteria, burns, cuts & wounds, earache, eczema, fatigue, fevers, giddy spells, pulpitations, headache, insomnia, long haul travel, menstrual cramps, moths & mosquitoes, sandflies, scabies, shingles, sinusitis, stress & anxiety and sunburn.